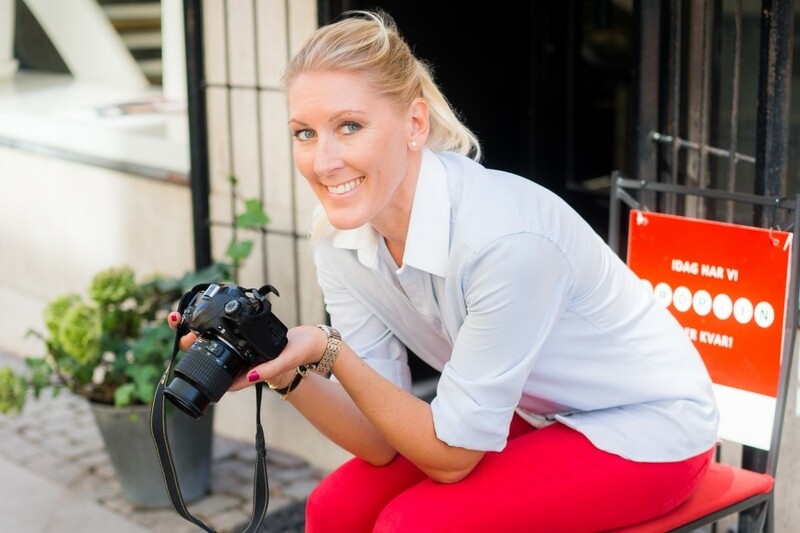 Global Living spoke to Susanna Sundberg about her life as an expat and a pilot and discussed her love of travel, her passion for photography, fitness and more. She currently runs a popular Instagram account, @susythepilot, where she shares inspiring photos from her travels (including spectacular views from her office, the cockpit) and her expat life. Susanna ‘Susy’ Sundberg is living the expat life on cloud nine…almost literally. Born in Gothenburg, Sweden, the 37-year-old commercial pilot for Brussels Airlines has lived in Italy, Finland, Sweden, Mongolia, Faroe Islands and now Belgium. Always interested in traveling and seeing the world, Susy attended flight school in Sweden in 2001 and after graduation she became a flight instructor. In 2007, she began flying commercially while based in Stockholm, though she spent most of her time in Milan and Oslo while flying throughout Europe. In 2011, she flew for a Finnish airline, based in Helsinki, Finland, before moving to Ulan Bator, Mongolia in 2012, where she flew domestically. 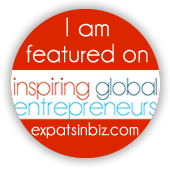 In 2013, Susy accepted a job offer on the Faroe Islands before moving to Brussels, Belgium in 2014, where she currently resides as a Brussels Airlines pilot. After traveling through Southeast Asia from 1997-1998, you lived and worked in Italy. How did your first expat experience compare to your expectations of living abroad? I had been traveling a lot ever since I was a kid, but this was the first time I actually lived and worked outside of Sweden. We were a couple of Swedish girls sharing an apartment in northern Italy at a ski resort and had a great time. I had no idea what to expect, but we didn’t work as much as I thought we would. We had a lot of free time to travel and see a large part of Italy. My workdays consisted of skiing and hiking in the Alps all day and working at a restaurant in the evening. It practically felt like a very long vacation and, to be honest, I still get the same feeling when working and living abroad. How was your experience living abroad in Finland, Mongolia, Faroe Islands and now Belgium different from your first move abroad? The biggest difference is my mindset. When I was working in Italy, I only planned to stay for a short while and then go back to Sweden to a ‘real’ job. Now when I work abroad I am always prepared mentally to stay for years, or the rest of my life. I find it easier to adapt when I stop planning on returning to Sweden. I always move in to a house or apartment quickly, instead of staying in hotels, and I try to bring as many personal items from Sweden as possible. What has been your favorite expat location so far, and what about this place did you love so much? If I only consider the location, and not practical details like commuting and the actual flying, I would say Mongolia. It is an amazing country with very friendly people and an incredibly rich history. Ulaan Baatar was of course very different from western cities but had so much to offer, everything from champagne bars to living with nomads in gers (the white round tents many Mongols live in) The restaurants were among the best ones I have visited and, only a short drive outside the city, you could find the most beautiful national parks with great wildlife. What has been the biggest cultural shock you’ve had to deal with as an expat? My entire stay in Mongolia was a big culture shock! Being the only female pilot in the country, add blonde Scandinavian to that, gave me a lot of attention from day one. The flying part was totally different from what I was used to as well. It was a bit more demanding and required a lot of work, but I really appreciate it today when I am back in Europe. I learned a lot from flying there. During my time there, I spent a couple of days with Mongolian nomads drinking the (in)famous fermented horse milk, Airag, eating their local cuisine and horseback riding in mountains where vultures and eagles were only meters away. Photographs courtesy of Susanna Sundberg, @Susythepilot on Instagram. What’s your favorite part of your job as a pilot? The travel and the variation. I love seeing new places, new cultures and meeting new people. If we have one or two nights at our destination, I try to discover as much as possible and typically only spend time in the hotel room when I am sleeping. Not knowing where I will work and live next. Even though I love the variation, it can sometimes be a bit stressful not knowing where I will be living next year or who I will be working for. 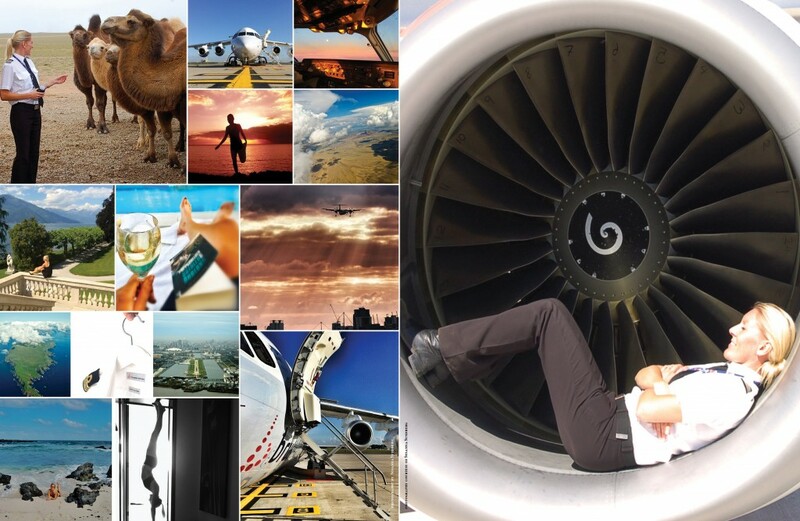 The airline industry is always changing and, as an expat and contract pilot, you have to be flexible. When you’re not flying professionally, how do you like to unwind and rejuvenate? Cooking and exercising. I try to live a healthy lifestyle and it is not always easy when you are working, staying in hotels and having crew dinners several times a week. When I have time off, I focus on exercising and eating healthy. My road trip around the ring road on Iceland. I had been working a lot that summer, getting to know a lot of new people and sharing a house with colleagues on the Faroe Islands. I needed to disconnect from my work and my social life for a couple of days and so I rented an SUV to drive around Iceland and only focus on myself and photography. It was one of the most amazing and adventurous trips I have made in a long time. I practically lived in the car – sleeping, cooking, editing photos… everything. When I came back to work after one week I was relaxed, recharged and very happy. What is one thing you never travel without? My camera. I love photography as much as flying and I always carry a camera with me, either my iPhone or one of my Nikons. If you had to pick one place to live next, where would it be, and why? One of the small villages around Lake Como in Italy, or maybe Norway or Switzerland. I love living close to nature, water and, of course, for practical reasons, an airport. Try to blend in with the locals as soon as possible and avoid spending too much time with your expat friends and colleagues. It is a lot easier to work and live abroad if you try to accept your new city as ‘home’. I always try to learn a few phrases in the local language, but it is not always easy and I usually end up speaking only English in the end. Do you have any plans to permanently return to the Sweden to live? Not really. I think my career as a pilot will continue abroad, but I am planning to buy a summer house in Sweden to have as my own place to escape to when I miss Sweden. It is one of the most beautiful countries in the world and I try to go back at least once or twice every month. Follow Susy’s adventures on Instagram @Susythepilot and @Susythephotographer. She is also one of 25 founding members of the new social media platform, Incogo, where she will be sharing her journeys.